The Alpini Bridge is made of wood, completely covered and was designed by Andrea Palladio in 1500. 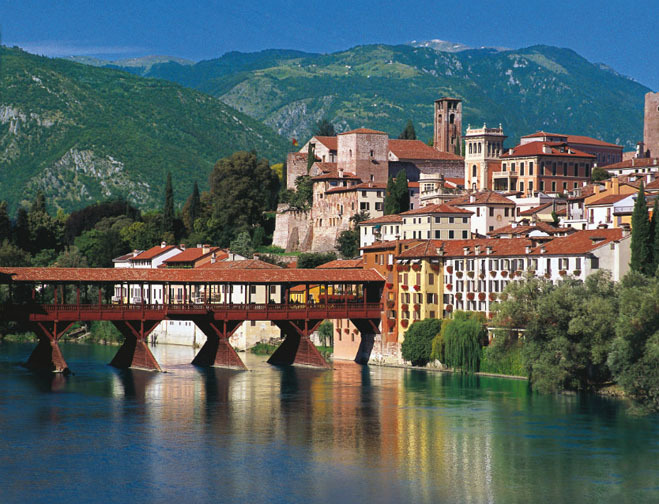 It is in the Region of Veneto in Bassano del Grappa near Venice. The bridge crosses the River Brenta and Tavern Nardini which produces grappa is always present at the entrance of the bridge. In the middle of the bridge there are two viewpoints (beautiful to see)-balconies- from which we can see the surrounding mountains and the Brenta Canal.